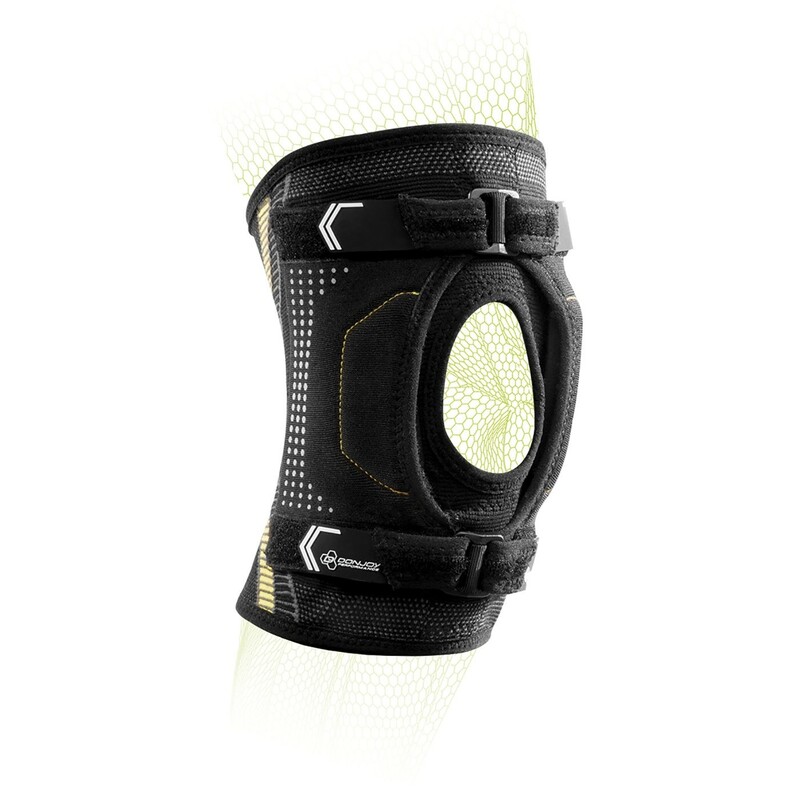 Adjustable, low-profile dual-buttress patella stabilizing sleeve. 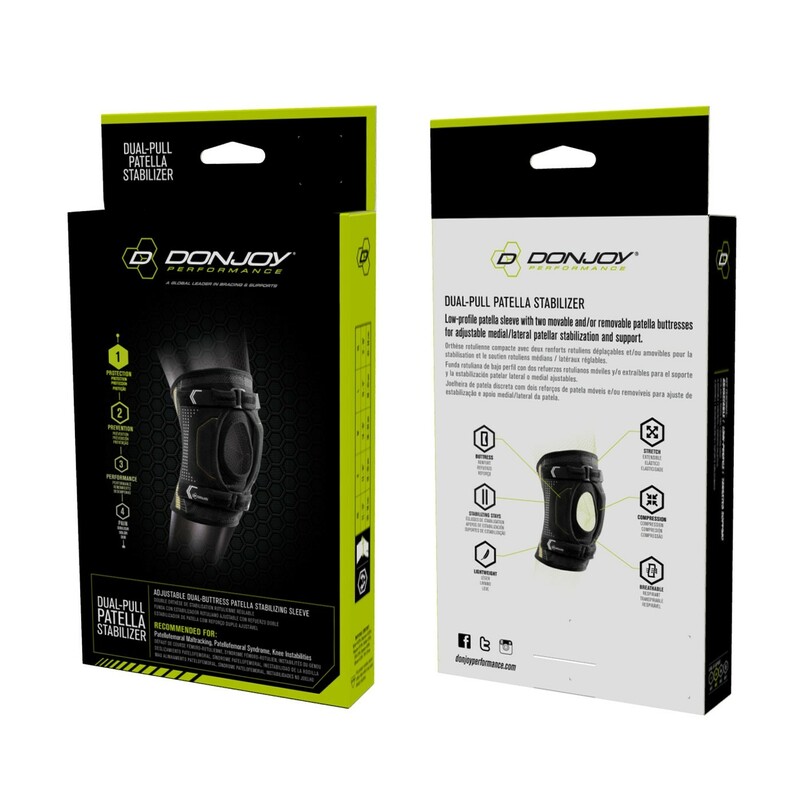 The DonJoy Performance Dual-Pull Patella Stabilizer is a low-profile patella sleeve designed with two removable patella buttresses for adjustable medial/lateral patellar stabilization and support. 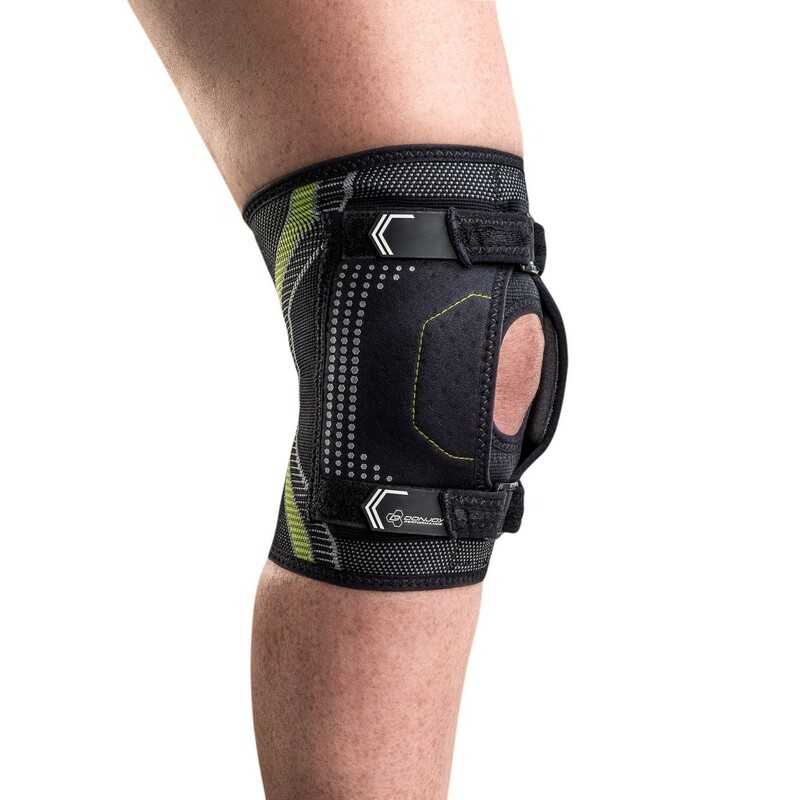 Designed with removable medial/lateral flexible stays, the Dual-Pull Patella Stabilizer delivers knee support and helps manage Patellofemoral maltracking, Patellofemoral Syndrome (PFPS), Runner's Knee and Knee Instabilities. 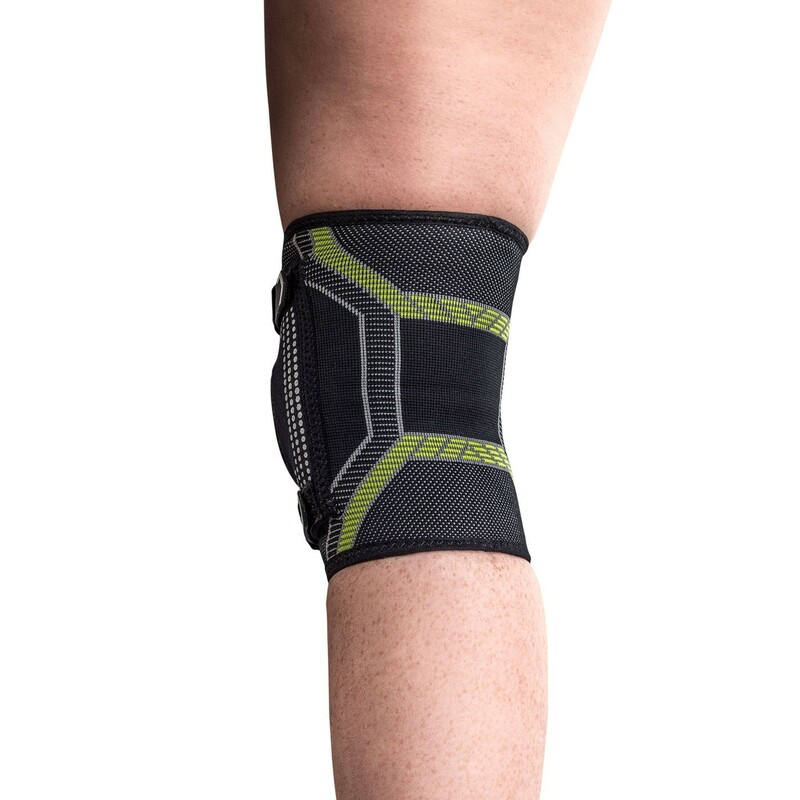 Also, the top and bottom straps on this knee sleeve make it easy to adjust for compression and comfort when wearing, whether it be for day wear or activity. 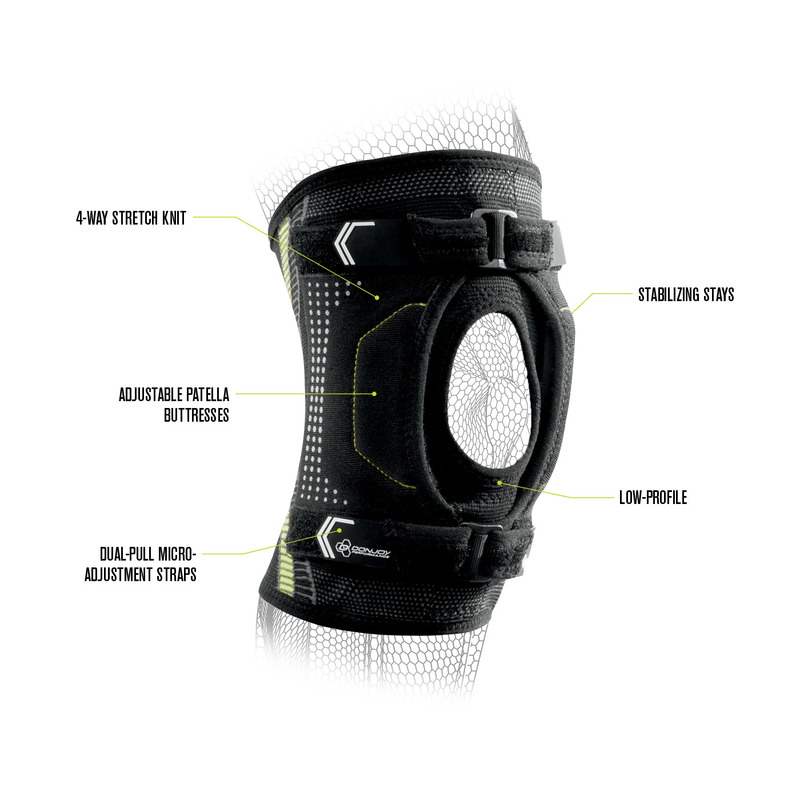 The Dual-Pull Patella Stabilizer sleeve construction of 4-way stretch knit delivers comfort, compression, and a light fit. Can be worn on the left and right knee. This knee brace is great! It's breathable and doesn't interfere with mobility. It also slides on with minimal resistance and stays in place. Cons: I've only worn it for a week but the strap is already falling apart.